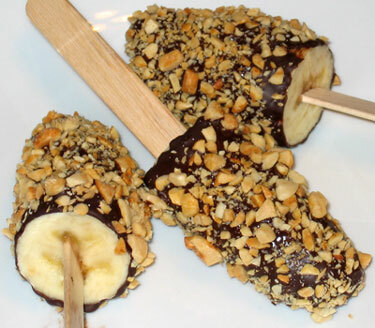 NJ Paleo Girl: Frozen Nanners! 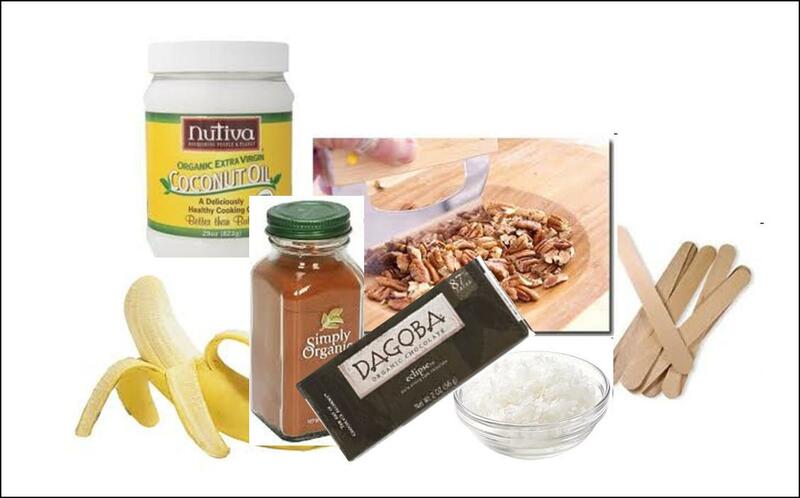 Combine all ingredients EXCEPT for the shredded coconut in a microwave-safe bowl. You can either microwave the mixture for 30 seconds at a time (watching carefully) or place it in a double boiler type position. Meanwhile, line a baking sheet with aluminum foil, parchment paper, or a silicone baking mat and insert sticks lengthwise into the center of each banana. Place toasted coconut in a shallow plate. 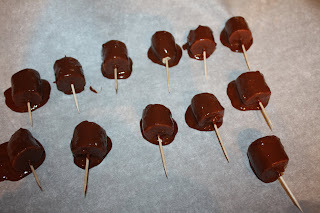 When chocolate is ready, tilt the bowl, and, working one at a time, dip the bananas evenly into the chocolate mixture. Tilt and turn to coat the banana evenly. Tilt banana so excess chocolate can drip back into the bowl. When chocolate is just set, roll banana in the toasted coconut or nuts and transfer to the prepared baking sheet. Repeat to coat all the bananas. Place bananas in freezer to set up, at least 20 minutes. You can also cut up the bananas into smaller pieces and make Frozen Nanner Bites!!! Yum!